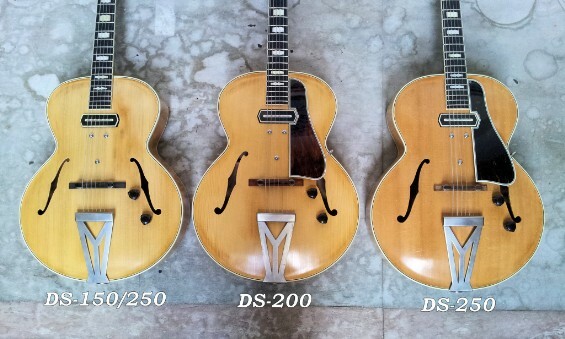 Is there a guitar between the 16 1/4 inch DS-150 guitar and the 17 inch DS-250 guitar? Yes there is and it is called DS-200. 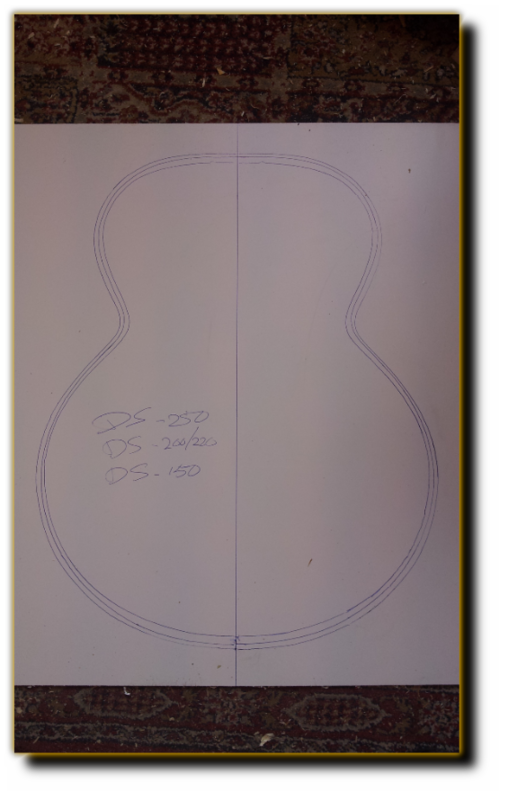 In between the smaller and larger guitar is the 200 size; not only in body wifth but also in scale length. The DS-200 guitar has a 250 style handmade new vintage tailpiece, Grover tuners, X-braced top, solid carved top and braced arched back in maple or arched back in laminated maple, ebony fingerboard with ‘open book’ inlays. The tailpiece is made in the 250 style but slightly smaller (sized down) to fit in with the smaller body size. Output jack located in the base of the tailpiece. Basically a 250 guitar in a slightly smaller 200 package.